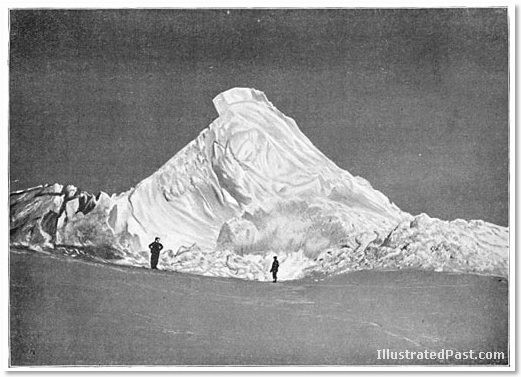 Antarctica is the coldest and most inhospitable continent on earth. 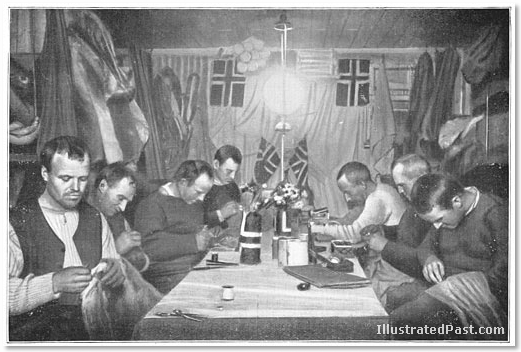 There are no permanent human settlements; the entire population of Antarctica consists of several million penguins and a few hundred scientists. But while the continent is still incredibly harsh and isolated, it is much closer to the rest of the world than it once was. Regular air links allow personnel to cycle in and out, without fear of being locked in by ice for months or even years. And cruise ships now bring tourists to this far off land. 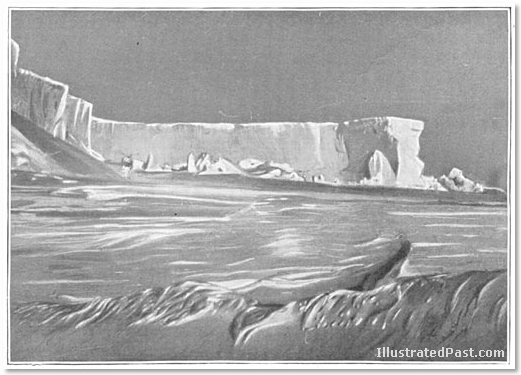 It is perhaps difficult to imagine that only a few decades ago, most of Antarctica had not yet been explored, and any trip to the continent required explorers to be separated from their families for years, living off unhealthy diets of canned food, and facing the ever resent risk of death from cold and starvation. 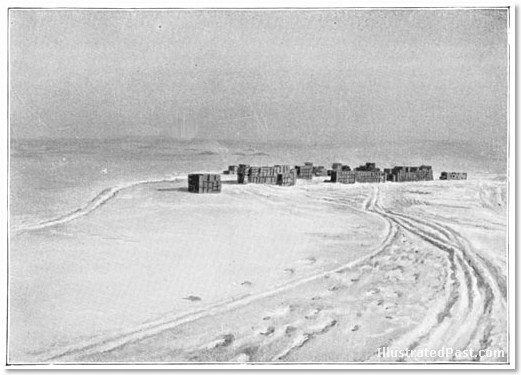 Below is a collection of photographs of Antarctica taken by the Norwegian expedition to the South Pole in 1910-1912 led by Roald Amundsen. 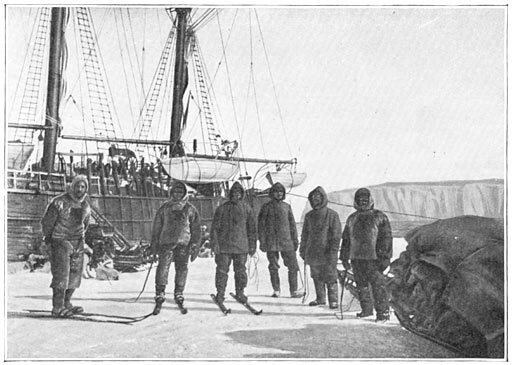 This expedition was better equipped and planned than its predecessors and succeeded in reaching the South Pole first; another expedition by the British explorer Scott also reached the Pole but did so a few days after the Norwegians. 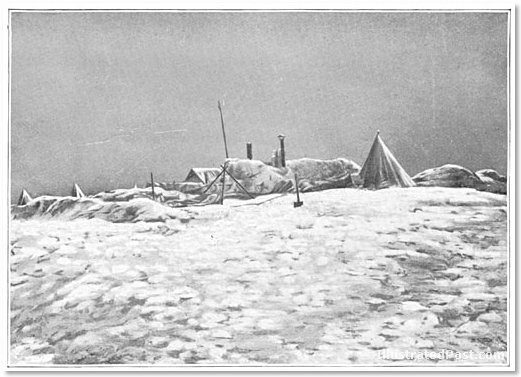 The Scott expedition perished attempting to return to its base camp. Given the logistics of changing the expedition from the North Pole (which is not that far from Norway) to the South Pole which required an enormous journey from Norway to Antarctica and then an extremely long overland journey across the unmapped frozen fields of Antarctica, it is amazing that Amundsen would make such a decision on the spur of the moment; it is perhaps even more amazing that he succeeded in reaching his destination. I consider it an urgent necessity, that each of us be aware of what has already worked in the parts where we go. That is the only means to become familiar in advance with the difficulties which we will have to fight. 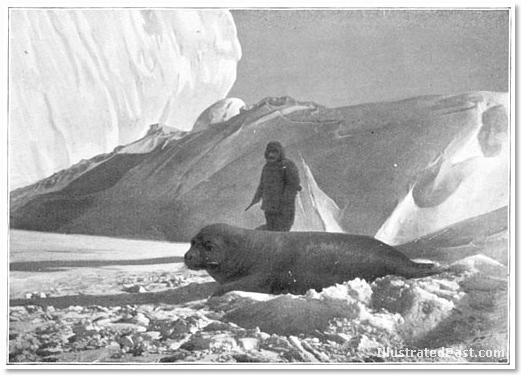 With that intention I brought a library of Antarctic travel consisting of the books of Cook and James Ross, of Commander Scott and Sir Ernest Shackleton too. The different books are read avidly, especially the latter two. The book of Scott and Shackleton, who wrote fascinating accounts accompanied by beautiful plates are always required. 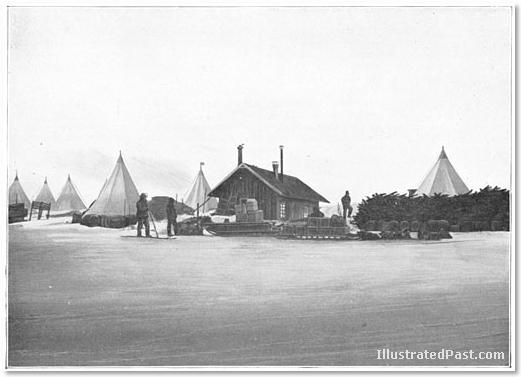 So therefore the theoretical education of the employees started vigorously. 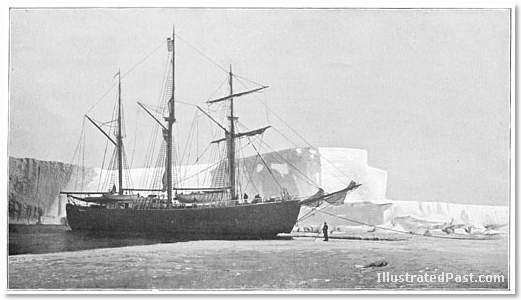 Above is a picture of the expedition’s sailing ship upon its arrival in Antarctica. 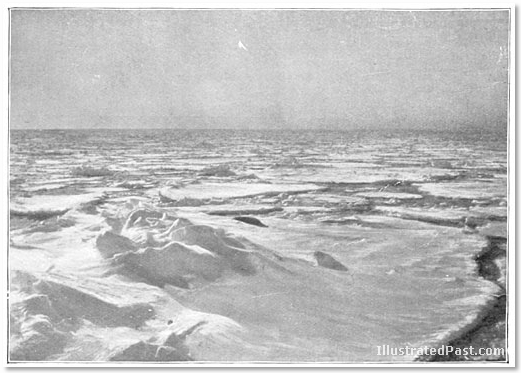 In the background is the Great Barrier, a wall of sheer ice. Upon arrival the members of the Norwegian expedition began offloading their supplies. 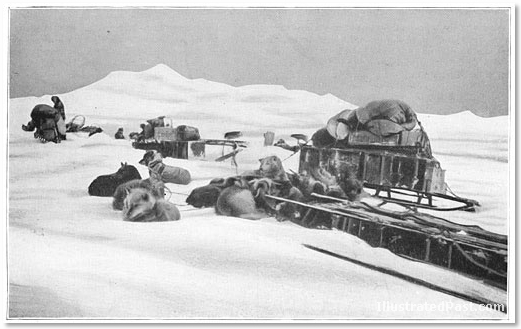 Dog sleds were used to move the heavier loads. 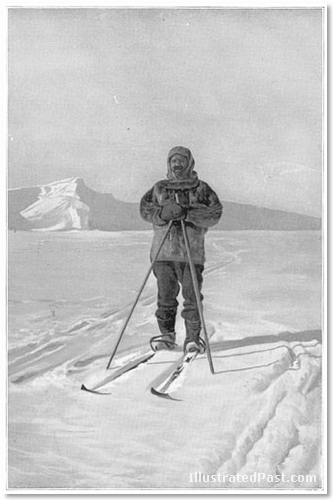 The men put on skis. Antarctica: The pack ice in the northern Ross Sea. The 18th of January we will begin transporting the building material. … All pieces were numbered before the departure and stored in the order in which they should be used so that it will be easy to find it has everything at hand. 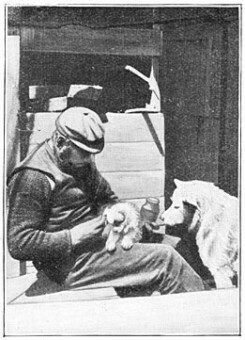 Amundsen had brought a number of Eskimo dogs with him because they were adapted to the harsh cold weather. 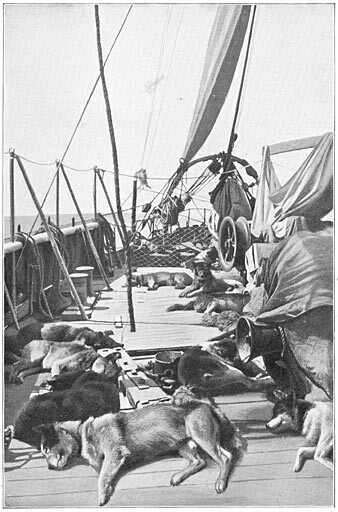 He described the dogs as intelligent and capable of learning tricks and to some extent capable of bonding with their human masters, but also described them as wild, the products of an unforgiving fight for survival: “In their mutual relations, these animals know no other law than that of the strongest. 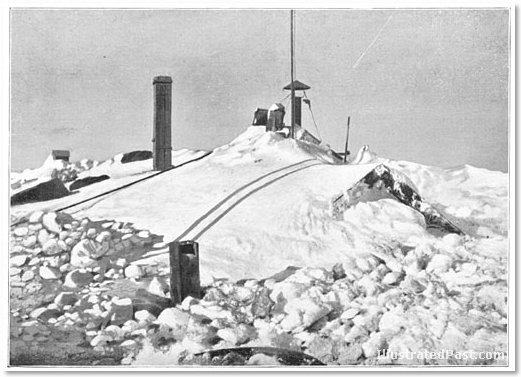 Cape Manhue, the front of the Barrier to the Bay Walvisch. In a tent for the dogs. 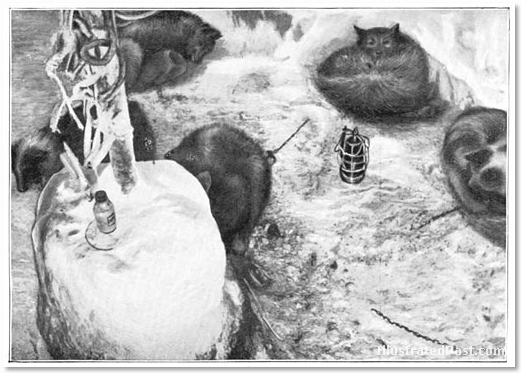 The relative comfort of the base camp would not last forever. 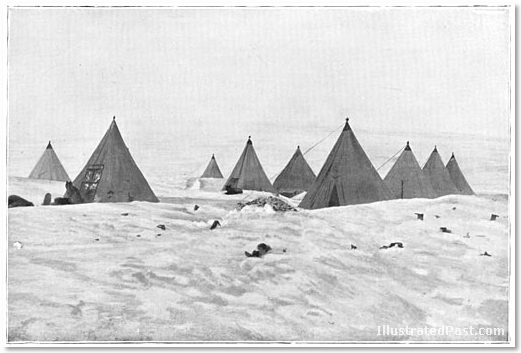 The men waited for the right weather to start their journey inland. While they waited the men spent the time getting their gear ready. 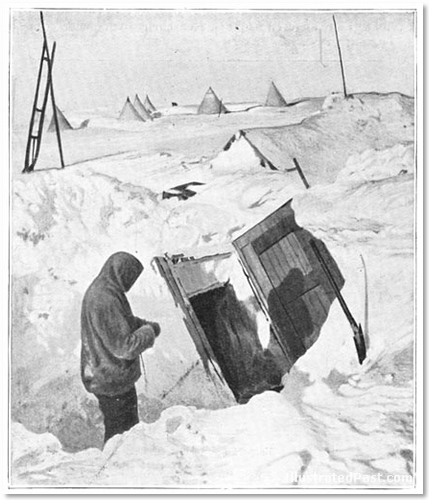 An Antarctic Winter: much like an Antarctic summer ony much much colder. 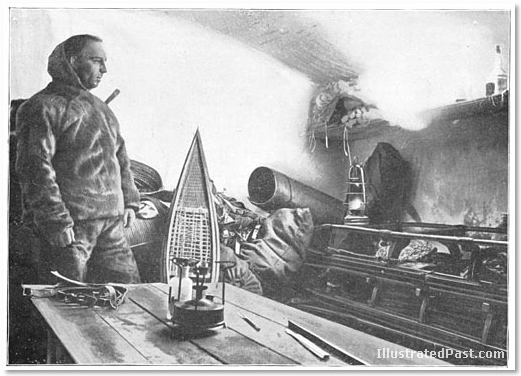 Wisting's workshop, dug into the Great Barrier. The different models of snow goggles. 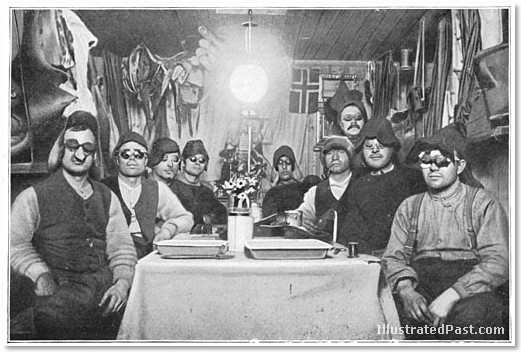 In the picture above the men show off their hand made snow goggles. Protecting their eyes from the relentless glare of the sun reflecting off of the snow and ice was essential; otherwise a man could become snow blind. 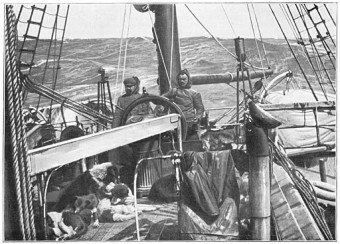 Getting Ready to Leave: Our four runners, each with 13 dogs harnessed. 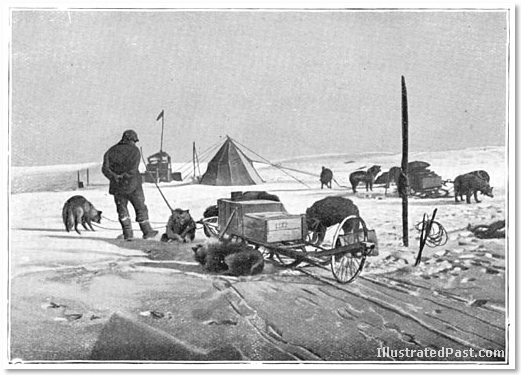 Finally, the weather allowed the expedition to start their journey to the South Pole. 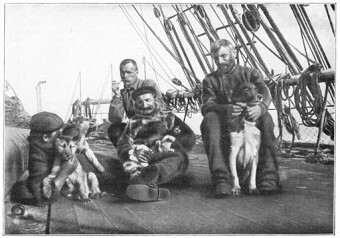 The men and the equipment were ready; the dogs in harness. It was time to go.